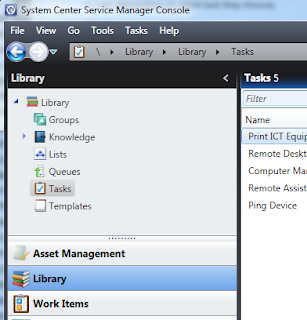 A while ago I posed a question on the Service Manager forums about having a console task that would launch a SQL Report and pass it a parameter. 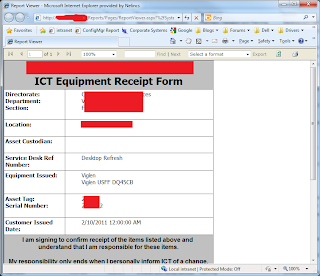 The reason behind this is that I wanted to make it as easy as possible for our analysts to be able to print a “Receipt” without having to remember asset numbers or navigate through the console to the reports node. 1) Console task which passes the parameter value on the query string to the SRS web UI. 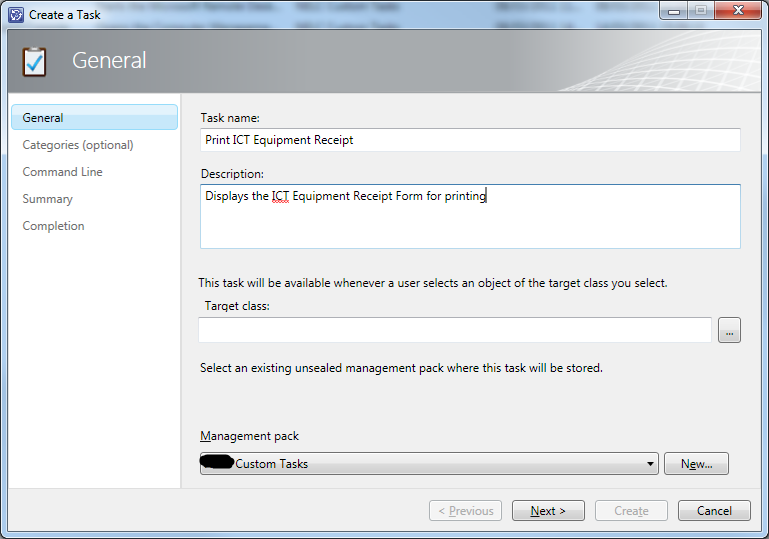 2) Console task which passes the parameter value to the report viewer form in SCSM console. I’d briefly looked at suggestion 1, but taken it no further, but while suggestion 2 is my preferred method I needed to move this along quicker so I took another look at suggestion 1. As Travis said, creating a console task to spawn Internet Explorer to the SSRS url is very easy. 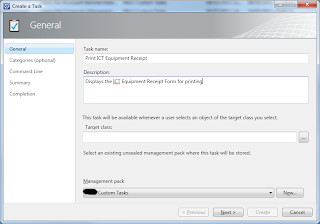 Then click the “…” button next to Target Class and select the class you want this task to appear on. 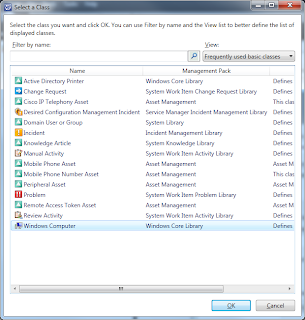 In this example I’m going to use the Windows Computer class. 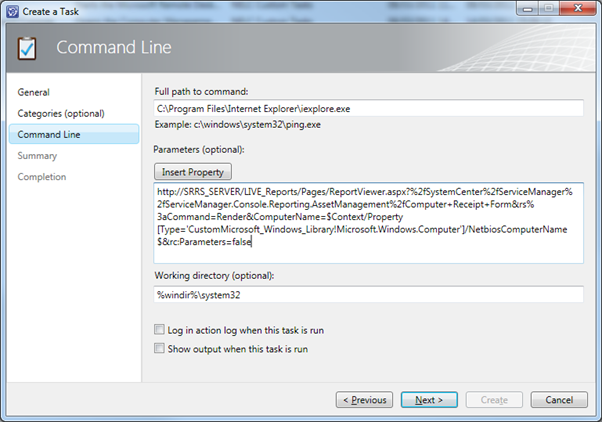 Then comes the URL to the SSRS server and the property to pass from the SCSM console. This is where you use the “Insert Property” button in the create task wizard and select the property you require. And finally add &rc:Parameters=false to the end of the command line to hide the parameter bar by default. 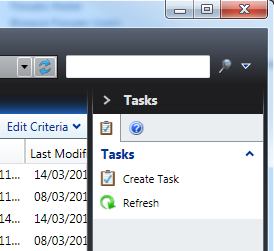 Review the summary and save finish the task wizard. 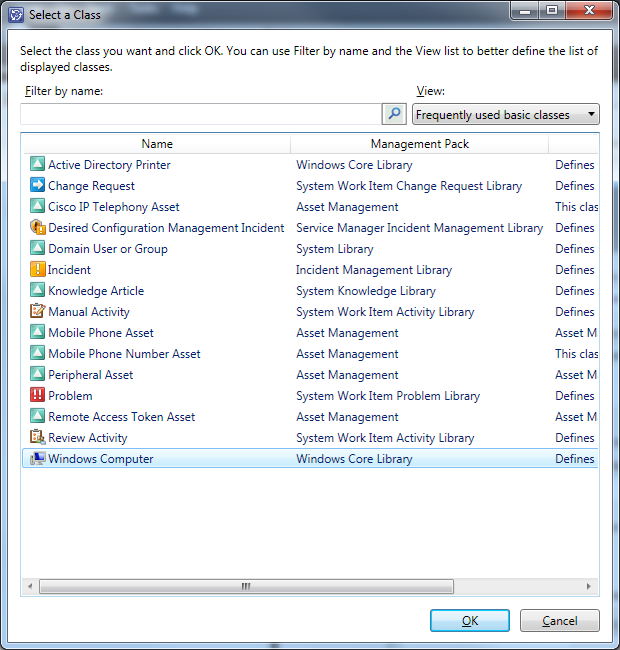 When you go to a view showing the class you targeted in the wizard, you should now see a new console task. 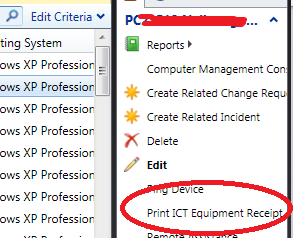 When you select an item and click the task, Internet Explorer should spawn, take you directly to the report and pass the report the parameter (NetBIOS Computer name in this example) and render the report ready for printing.